Snow in the Midwest can reach up to 2 to 3 inches to 10 inches depending on the area. This means it is time to break out the snow shovels that have been locked away in the shed for nine of the 12 months of the year, and pull on a puffy, coat to brace the cold Michigan air. Many people though are unaware of one critical aspect of going outside- the safety of their heart. 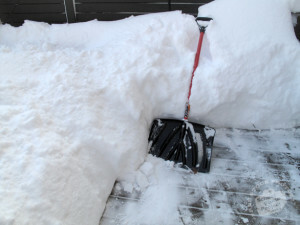 Cardiac problems are higher during the winter time because many people do not exert so much energy besides shoveling snow. Plus, the cold increases blood pressure, and the cold increases the risk for blood clots. Proper winter clothing. Gloves, scarves, and hats will help prevent blisters. Frost bite is not fun! Drink water. Dehydration is still an issue even in winter time. Just because there is frozen water everywhere does not mean you do not need water. Proper visibility. If you cannot see outside your house when you want to clear the driveway, it would be best to wait until your visibility increases. Safety is important. Bend with your knees. This is the proper technique to keep yourself safe and not strain your muscles. Your back will thank you later. Shovel often. If snow packs on more snow, it can get hard as a rock, which makes the cleaning process more difficult. Ask your physician. Make sure you are in good health before you try to clear the driveway. Fellow Michiganders, please take caution when removing snow from the porch or driveway this year.